Pritish Soundararajan blogs about his food experiences, travel journeys, and fitness exercises. He also shares peoples' true life stories. #PritishSocial is his official hashtag. Ask Nikhita Gandhi an unassuming question “what do you do?” This Bengali born talent will surprise you with her answer! A busy practicing dentist and playback singer, she is creative and confident in her own space. Astute by nature, she has dabbled in different areas of music – Playback Singing, composing a bengali Album titled Kotha and most recently managing a band of her own. This young musician has been busy composing a very unique piece of symphony, in sound and experience for both herself and her audience alike. Saarang, the annual music competition at IIT, Chennai was where it all began. Winning the solo singing category boosted her confidence and propelled her into pursuing more musical avenues. Shuttling between music classes in the evening and academic classes in dentistry at college was a defining caterpillar- butterfly experience in every way. Waking up at 6am to register for the Saarang event, carrying her guitar and singing to a pan India audience from different states and even countries was an uplifting experience for this gifted singer. Born and raised in Kolkata, Nikhita found Chennai to be a cultural paradox. She remembers the joyful moments of crooning different songs as part of a ragging in college and the difficulties of adapting to a different language in a new city. Her parents, both dentists helped her in adopting a pragmatic approach to making her career choice early on. Moving to Chennai for her BDS was a focal change in finding her balance not only academically, but also musically. A quintessential juncture we all arrive at is – what do you want to do in life? Being an avid animal lover and above average science student, her first thought was to become a Vet! Nikhita’s parents, both practicing dentists played a major role in her pursuing dentistry as a profession. Her personal interest in clinical medicine and enthusiasm in interacting with patients fuelled by a home environment embracing the same, made her decision seem easy to many. On the contrary, this defining decision was the hardest to arrive at personally. When we encounter confusion and anxiety, she reminds us it’s important to seek support and opinion of encouraging family and friends to shape a personally fulfilling career. Nikhita enrolled for a music course at AR Rahman’s KM Music Conservatory while in Chennai. This opened up opportunities to network with fantastic musicians and learn from the best. Her first professional association with AR Rahman was during an Indo-German exchange as part of a choir on a 100 member Indo-German orchestra. She recounts that working with AR Rahman was cool and hardly an daunting experience. He was a thorough professional, personally auditioned her for his Celtic project after hearing her video sent through Kavita, a choir director.Usha Uthup, a personal inspiration and a good family friend launched her semi classical Bengali album; the experience was a personally fulfilling moment for her. Nikhita counts her blessings and believes that talent and opportunity does make one noticeable in this industry. There is never a sure shot formula to fame and appreciation, one has to be open to taking chances and building on success. Today, she is known as the Ladio girl. 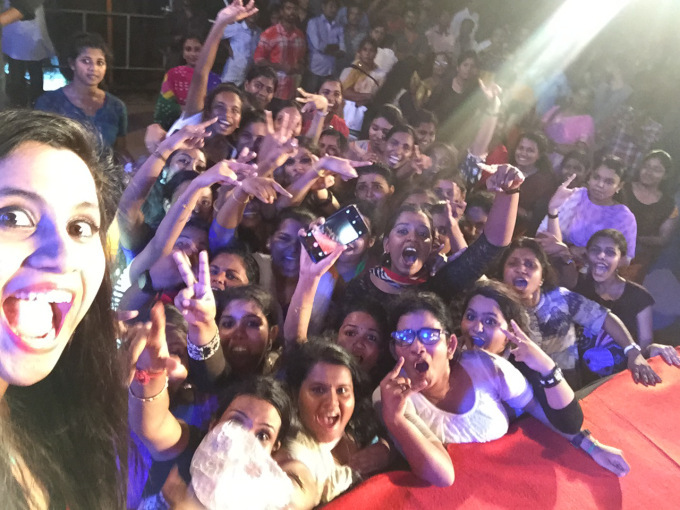 Though she bagged her first tamil song “Modern Kalyanam” in the movie KalyanaSamayalSaadam, it was her song in Shankar’s film “I” Ladio that made her a singing sensation. 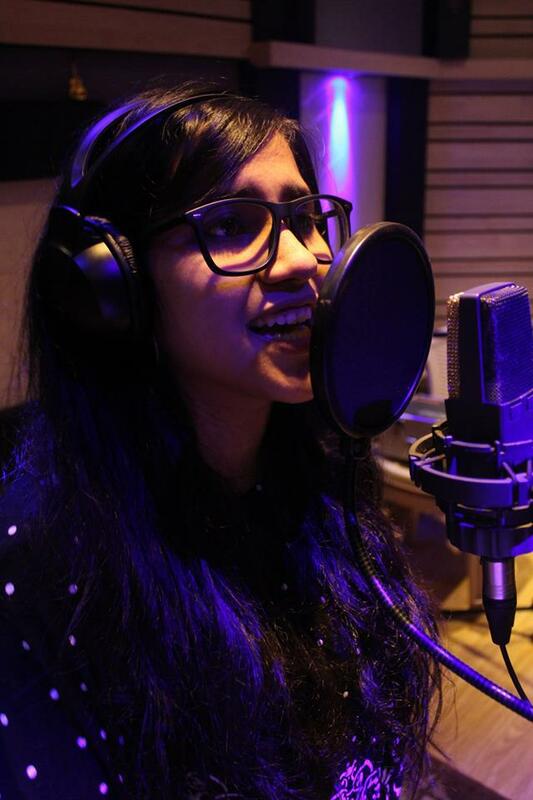 Though Tamil was still a challenging medium for Nikhita, she managed to record the first version in 2 hours, subsequently she followed it up with the Telugu and Hindi versions of the same song. Her musical versatility is evident in her ability to croon in different regional languages – Tamil, Telugu, Kannada effortlessly. Her foray into the creative field started with dance classes. Odissi and Hindustani classical were a part of her growing years. Inspite of occasionally skipping practice hours, she nurtured a fondness and affinity for music throughout her schooling life. Her father was an aspiring singer but never got an opportunity to pursue his passion professionally, today, he is very proud of her ability to manage her singing and medical profession effortlessly. Walking in the company of world renowned musicians and singers, ask Nikhita what was her fan moment? She mentions it was a rendezvous with Oprah Winfrey in Mumbai during one of her five city concerts! Having sung in different musical genres and dialects, this young and talented singer is most at home with jazz and semi classical numbers. If you don’t find her interacting with patients at her clinic, she will be busy recording songs or practicing; there is not a dull moment in her routine and she loves to juggle between her passions consistently. In a day and age where pursuing a single career can at times be a formidable effort, she has managed to master both, receiving appreciation and recognition in both her chosen careers. If you are looking at a recession proof profession, take a leaf out of her book! Nikhita is very inspiring because she motivates you to be all that you can, in plurality, rather than singularity. Ladio song sung by Nikhita Gandhi | Movie "I"
This is an excerpt from the telephonic interview between Nikhita Gandhi and Pritish Soundararajan.